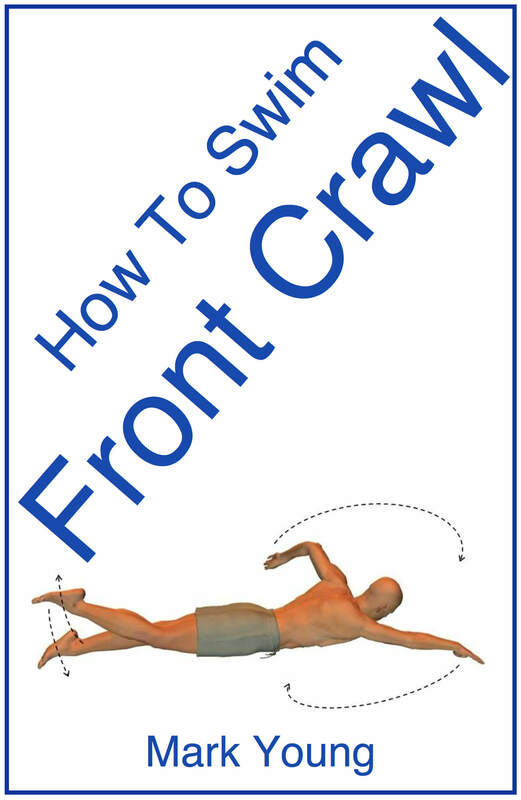 The best front crawl exercises are the ones that are easy to follow and simple to understand. Only then can learning and improving the basic stroke be a quick and straight forward process. Listed below are some of the most basic exercises for learning and improving front crawl technique. They are all in PDF format, meaning they can be downloaded instantly and viewed on all tablet and mobile devices. 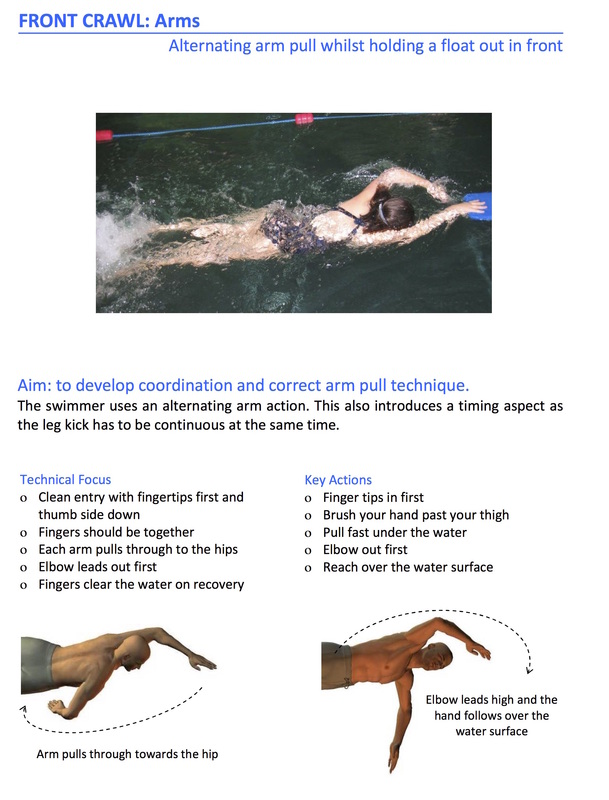 These exercises break down front crawl into it's component parts, making learning and fine-tuning it a simple process. Each exercise ensures the swimmer focuses on one aspect of front crawl and exercises are available for each element of the stroke. If your weakness is the arm action, leg kick, breathing or timing and coordination then download the exercises most relevant to you. Each exercise forces the swimmer to isolate a certain part of the stroke. For example, while performing a breathing exercise after reading the technique tips and key focus points, the swimmers concentration is only on the key details of the breathing technique. Gradually over time and with practice the swimmer will eliminate their bad habits and begin to swim a smoother and more efficient front crawl stroke. For all of these exercises plus a detailed description of front crawl technique including common mistakes and how to correct them, download How To Swim Front Crawl.